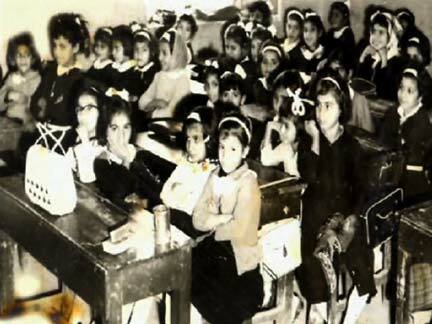 Sima's grade 3 class; elementary school, Abadan. For Sima, education means liberation, defeating extreme poverty and oppression, challenging patriarchy, classism and dictatorship, and seeking intellectual challenge for growth. Driven by her curiosity, Sima has persisted in educating herself despite many obstacles and she lives the idea that challenge is an opportunity for growth. Sima and supervisor, Dr. Hedberg (right), Renee (left) and Arnold. 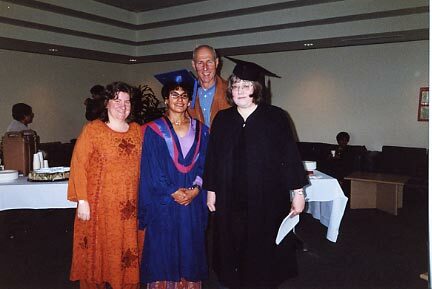 June 2002 convocation, SFU.